Two bills have been filed in the Massachusetts legislature which would close the loophole that allows insurers to deny coverage for treatment of rare, disabling genetic craniofacial conditions primarily affecting the mouth and teeth. Dealing with a craniofacial condition is challenging, and lack of insurance coverage for medically necessary reconstruction of the teeth for people with craniofacial conditions can be financially devastating. 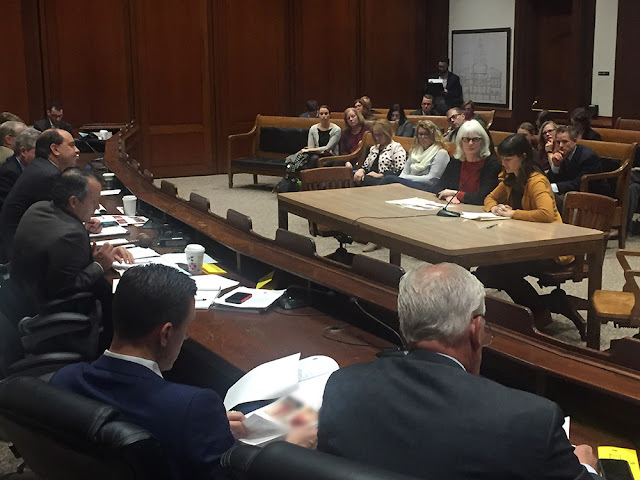 An act relative to ensuring treatment for genetic craniofacial conditions (H581 and S511) filed by Senator Julian Cyr of Cape Cod and Representative John Scibak of South Hadley are currently awaiting committee vote in the Joint Committee on Financial Services. The bills would require insurance plans to cover medically-necessary functional repair or restoration of dentinogenesis imperfecta (DI), amelogenesis imperfecta (AI) and ectodermal dysplasia (ED). Treatment for these rare craniofacial disorders is multi-stage and complex, and initial costs may be upwards of $100,000 - obviously unaffordable for the average family. Without treatment, patients may experience severe pain, difficulty eating, speech problems, multiple infections, bone loss, and psycho/social issues such as teasing and bullying. As with most congenital disorders, treatment is necessary throughout the lifespan. My daughter and I have been working together to get legislation passed for ten years, and recently testified at the Massachusetts State House in favor of the bills. Also speaking in favor were Representative Dylan Fernandes of Cape Cod, Dr. Yoshiyuki Mochida from Boston University Goldman School of Dental Medicine, Dr. David Tesini from Tufts University School of Dental Medicine, and Alan Holbrook from the National Organization of Rare Disorders (NORD). Legislators were presented with packets of over 50 letters of support from Boston dental schools, organizations and foundations, health and dental professionals, and concerned citizens. Since 2012, insurance coverage for dental treatment associated with cleft lip and palate has been mandated in Massachusetts. We hope that Massachusetts, long known as a leader in health care, will step up to address this gap in coverage and ease the financial burden on people living with these other rare craniofacial disorders. Why not ask your legislator to file legislation to mandate insurance coverage for medically necessary treatment of the teeth associated with genetic craniofacial conditions? As more states pass legislation, others will follow suit.